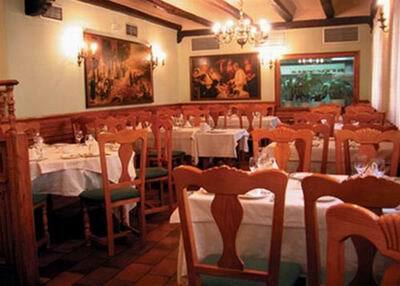 Rafa is a traditional restaurant offering Spanish cuisine. The average price of a main course dish at the Rafa restaurant is 22 euros. The average price of a 3-course meal at the Rafa restaurant is 45 euros. Note that although GoMadrid.com strives to maintain all information about Rafa up to date, the prices mentioned are only an indication and may not reflect the exact value of your meal. The specialty of this restaurant is shellfish from the Spanish coasts. Fish cooked in the traditional way. There is a bar at the entrance to the restaurant, where you can sample all our products. The address of the Rafa restaurant is: Narvaez, 68, 28009 Madrid. The nearest Metro station is Ibiza. Please see the Rafa restaurant location map below.